I attended a launch of the new Air New Zealand service between Houston, Texas and Auckland last year. I wasn’t sure if the new route would pan out, but both of our flights were full! We flew economy, as I used frequent flyer miles to book the tickers. But, after booking, I called Air New Zealand to upgrade to an exit row. It was nice for the extra leg room, but it could get a little noisy since the seats we had were close to bathrooms. It also got a little chilly, so dress appropriately. Unlike domestic flights, dinner and breakfast were served on flight. Even more important- dinner includes wine! It was a long flight- 15 hours- but I preferred the non-stop service rather than the connection with shorter flight from LAX. I also preferred exit row seating to the more expensive SkyCouch. While SkyCouch is the right size for me to stretch out, my husband is too tall to get comfy. Upon arrival into Auckland, I noticed I had a damaged bag. I own one of those “indestructible” polycarbonate hard case bags, so all I could think about was the cost to replace it. I was pleasantly surprised that Air New Zealand baggage service immediately responded with damage report for reimbursement. Another plus- we were fortunate enough to have Koru Club access for frequent flyers. We love the club and the little candies they provide in the club and at the end of each flight. Since we spent the first and last nights in Auckland, we needed an easy, convenient, and preferably cheap way to get to the hotel downtown. Auckland airport offers bus service, called SkyBus, which fit that exact need. The transfers are easy to book online, easy to find at the airport, and had a planned stop right outside of the hotel. The total cost was $16NZD/person each way. ‎One thing I did want to note: Be sure to the ring bell to alert the driver to stop. The rep at the airport told us they stop at all stops, but our one driver did not. Thankfully, we figured that out just a block from the stop and got him to pull over. While in Auckland, we stayed at The Langham. The Langham provides excellent service with decently sized rooms, but does fall on the higher end of pricing for accommodations. We had Langham Club access both nights (once paid for, once complimentary upgrade) which includes club breakfast, afternoon tea, pre-dinner drinks and hors d’oeuvres and butler service. Your butler is whomever is working in the Club room, rather than one who is assigned personally like St. Regis. Our one nit is that our bags did take over an hour to arrive in room on our first night. Also of note, the hotel is a bit of a ways from Quay/Waterfront, but the hotel does offer shuttle service. I also did not see any potential for water views from any of the rooms. While in Auckland, we walked over to the Winter Gardens and Auckland Museum. It’s a short walk over Grafton Bridge, which is just across the street from the hotel. Once you get to the park, you will see signs for the museum and gardens. 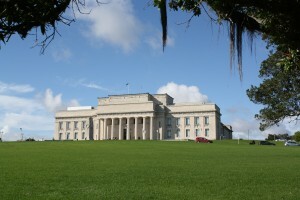 The Museum entrance fee is approximately $17USD per person ($25NZD) and gives you access to several floors containing Maori history, natural history, and war history. You can also access any special exhibits. For an additional fee, you can also watch a traditional Maori show. 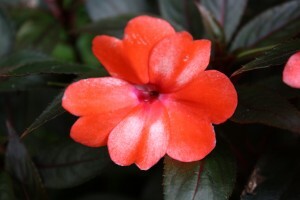 The Winter Gardens, just across from the Museum, feature a variety of flowers and plants in either a cooled or heated greenhouse. It was more scenic than a true attraction, but it made for a relaxing afternoon following such a long flight. To get between destinations within New Zealand, we played it safe, thinking about the lives of others, to use Air New Zealand’s domestic service. It is quite possible to drive throughout New Zealand, as its toughest driving is contained near Auckland and the traffic levels are very low, but we just have that “deer in the headlights” feeling about driving on the left. Anyway, as far as the domestic flights go, we ‎could not believe how easy it is! There are no security checkpoints, easy kiosk check in and baggage drop, and easy electronic boarding (you scan your boarding pass yourself). Pre-assigned seats do cost extra, but we were able to get seats together on every flight without paying. Another bonus is that you don’t have to arrive at airport very early at all, which allows a little more time to enjoy resorts. I have to admit, leaving for the airport 1.5 hours prior to the flight was a little hard to get used to! Once on board, all flights have water/tea/coffee complimentary along with a biscuit cookie. Some flights include a “Koru Hour” where, in addition to the normal offerings, wine is served with a snack. Our first luxury lodge on our “lodge hopping” itinerary was The Lodge at Kauri Cliffs. We flew into Bay of Islands (KeriKeri) airport, which is a 45 minute flight from Auckland. Upon arrival into the small airport, we made our way on the 30 minute drive via private transfer (Steve from Black Robbin). Steve was very friendly and he was our driver for the entire stay, which was nice. The Lodge sits on over 6,000 acres along the water with several beaches, a top rated golf course, and many walking trails. One could very easily never leave the property during their stay and remain busy the entire time. The Lodge is the size of a larger home and has many sitting rooms, an expansive porch overlooking bay and golf course, a dining room, and reception. The views from the porch are breathtaking. There is a pro-shop for the golf course on the lower level. The Lodge is styled in light East Coast-Hamptons décor with blues and whites. It was very clean, welcoming, and comforting. The staff were all very personable and quick to assist. Included in the rate is breakfast, pre-dinner drinks, and dinner, so we spent quite a bit of time in the Lodge. The Dining Room offers a small set menu but it’s all very flexible and they can make what you want if the menu does not suit you. The Chef will consult with you if you have dietary restrictions/allergies, as he did with me since I’m quite picky. The staff took great care to ensure our dietary restrictions/allergies were noted, including making special canapés for me each evening. The food was superb and portions were quite filling! One night, we had a soufflé that was probably the best dessert I have ever had. Lunch is extra and not included in the rate, but it was not unreasonably priced. Also of note, and it could be coincidence, but pre-dinner drinks was a very social time and we had a wonderful time mingling with guests. The Lodge tends to host well traveled, intellectual people, so it leads to fascinating conversation. One observation I made (and the same goes for the other lodges we stayed at) was that many of the guests were American and primarily from East Coast. So, it was very easy to spark up conversation. There are 22 guest cottages, with each cottage housing two suites. So, the suites have a shared wall. We stayed in a deluxe suite, which has a large bathroom with separate shower and tub, walk-in closet, minibar area, a sitting area with fireplace, and a balcony overlooking the golf course. 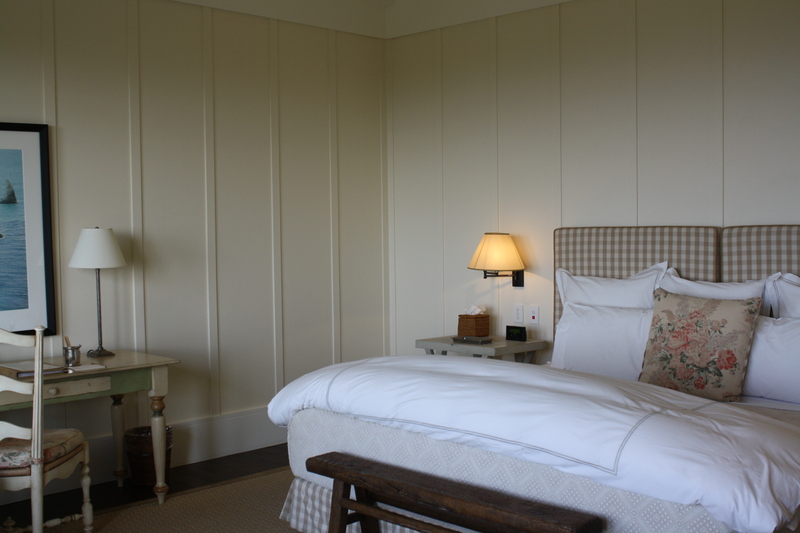 The rooms have a similar décor to the lodge, with a coastal “East Coast” feel. Oddly enough, the rooms do not have air conditioning, which freaked me out a little bit, but it never got too hot at night. We slept with the windows open every night and I was concerned about noise, but the resort is so quiet, that it was a non-issue. On the second day, we did a full day walk of the Puketi rainforest, which is about 40 minutes from the Lodge. We did this private walk with Puketi Adventures. It’s a long hike- 6 hours- with moderate to slightly advanced terrain. However, do not fret! Easier options are available. During the walk, we learned about the history of area, about local flora/fauna, and saw 4th largest Kauri tree in New Zealand. It’s pretty darn old and extremely large. The walk is quite a workout with several elevation changes and, in total, we walked about 21 kilometers. On our third day, we stayed close and spent the day exploring the Lodge property. We got a golf cart from pro shop and enjoyed views along the course. On our journey, we stopped at the 7th tee, which has a trail that leads down to Pink Beach. The walk to Pink Beach from the tee is about 20 min, but there are large elevation changes, which makes for an interesting return to the tee. We enjoyed shelling on the beach (the beach gets its pink color from the shells) and if you tell the Lodge in advance, you can also arrange a picnic there. However, we chose to have our lunch in the main dining room. After lunch, we headed to a waterfall on the property. The walk is about 60-70 minutes each way through the farm areas. Again, there are lots of elevation changes, so many guests choose to be driven there. 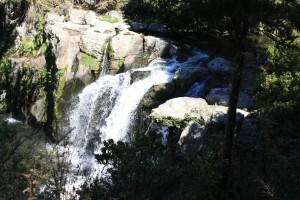 The waterfall is medium sized, but pretty and you will almost always be there by yourself. One downside is that you cannot get too close to the falls. As I mentioned, you can be driven there and all of the sites on the property are accessible via a driver if you choose not to walk. Some things we did not do during our stay: on property horse back riding and ATVs, and spa. Off property sailing, kayaking, fishing, tours of KeriKeri or Russell, wine tours as well as a Waitangi Treaty tour. Our next stop on our lodge hopping tour was The Farm at Cape Kidnappers. 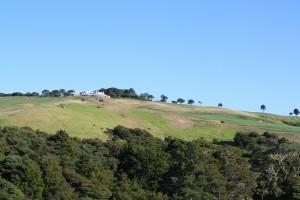 The Farm belongs to the same hotel group as Kauri Cliffs and, it too is an extensive property. It is located about 45 minutes south of the city of Napier. We drove through Napier on our way to the property and thought it looked like an interesting place. Due to an earthquake in the 1920s that leveled the town, most of the buildings were rebuilt in Art Deco style. So, it has a certain “cool retro” factor. Anyway, we once again had private drivers for our transfers, which made things easy, stress-free, and it gave us the opportunity to learn about the area. 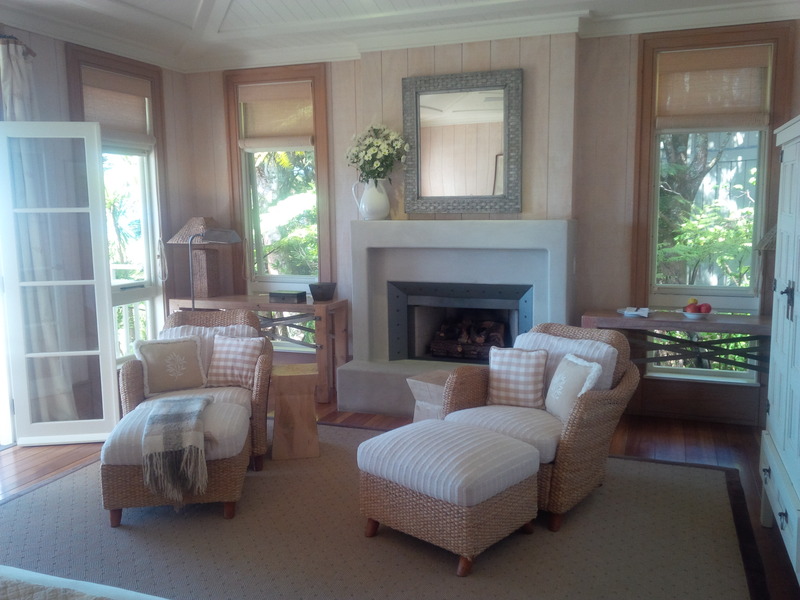 Since Cape Kidnappers is owned by the same group as Kauri‎ Cliffs, you can see some similarities in main lodge layout and service, but not in landscape and decor. Cape Kidnappers is not as lush or green, has more rugged coastline as opposed to rolling hills, and the surrounding forests are pine, not subtropical rainforest. The main lodge reminds me of a lodge in Colorado or a true farm house as opposed to East Coast-Hamptons style. there is lots of rustic wood decor, with large beams and darker hues. You can even smell the wood when you enter into the building. The main lodge sits on top of a hill overlooking an expansive swath of land, which leads to the ocean. The golf course, rated 16th in the world, is a quick drive from the lodge rather than just outside of the lodge. The course has sweeping views out to the water as well as looking back up toward the lodge. As with Kauri Cliffs, breakfast, pre-dinner drinks, and dinner were included in the rate. The food offerings were quite similar to Kauri Cliffs, though I thought the portions seemed smaller and the presentation of the food had a bit more flair. The staff noted our dietary preferences, but I did not meet with the chef. So, I had to be a little more specific when ordering and often skipped the canapés prior to dinner. They prepared every dinner for me off menu, but it was quite good. They also encouraged a shorter pre-dinner drink time, which I can see might help keep things flowing for the dining room. There were several nights at Kauri Cliffs where we did not eat until after 9pm. As with Kauri Cliffs, there are 22 guest suites. We stayed in a Ridge Suite, which is just outside of the main lodge building and has sweeping views of the property leading out to the water. The décor was farmhouse style, with shiplap walls and country style finishes. If you happen to watch “Fixer Upper” on HGTV, it would all seem very “Joanna”. The room was spacious and comfortable and included a full size bathtub, separate shower, dual sinks, walk-in closet, mini bar area, a small sitting area, and a porch that had those oh-so-amazing views. As the Farm was hosting a wedding ‎during the weekend, we could only stay two nights. But, we packed as many things as we could into that time. 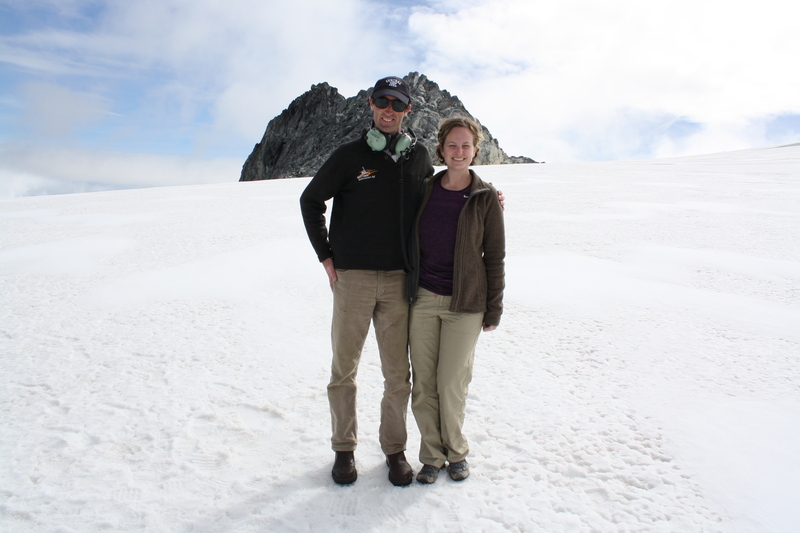 Upon arrival, we took a quick main lodge tour, followed by a Kiwi Discovery Walk. This is quite a unique experience and we were blessed enough to be able to see a kiwi up close, even if he was a little grumpy. 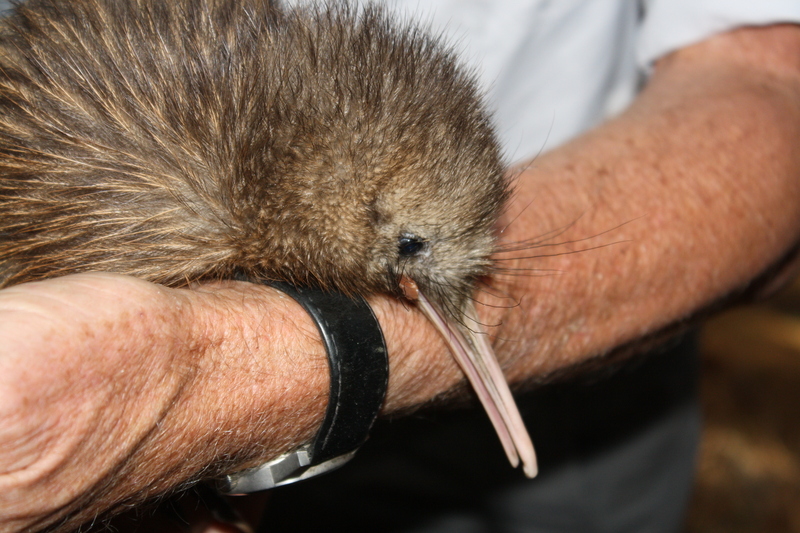 As part of the property serves as a bird sanctuary, many of the kiwis are banded and can be tracked by via radio frequency. The young kiwis are located and weighed once a week to track progress, so little Seismic was due for his weekly weigh-in during our walk. Little did we know that Seismic has a reputation for being a little difficult and he certainly lived up to that! After we found him, he refused to come out of hiding. Once he did come out, he squealed non stop and even refused to eat his dinner. Many who do this walk are able to hold their kiwis, but unfortunately, Seismic was not going to allow that. It was still interesting to see him and learn about the kiwi population. We also toured an aviary, where we saw parrots. I highly recommend looking into doing this activity, not only because it’s so rare to see a kiwi, but because the fee to do the activity goes toward the sanctuary. After our kiwi walk, we were taken by SUV on a property tour. 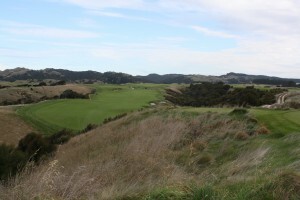 Just like Kauri Cliffs, the property is extensive and offers a variety of walking trails and has many “off the beaten path” trails that are best accessible via a Can-Am tour. 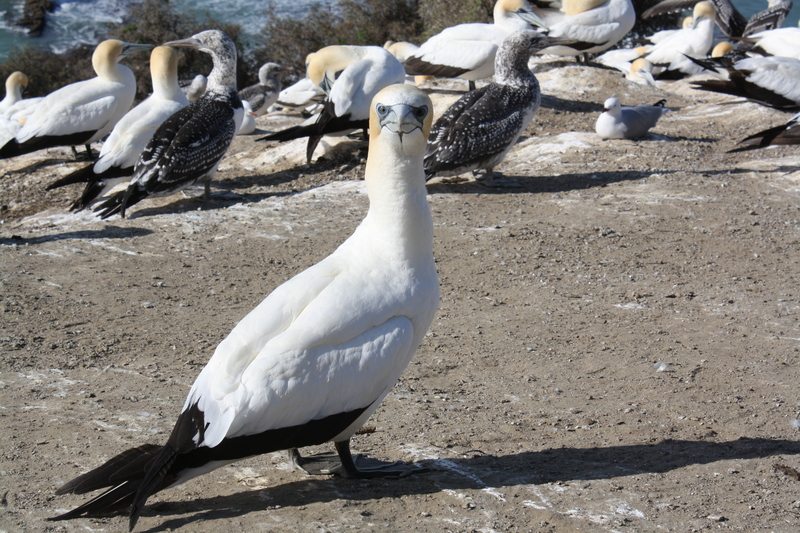 However, we were able to get to one of the highlights of the property in our car- the gannet colony. 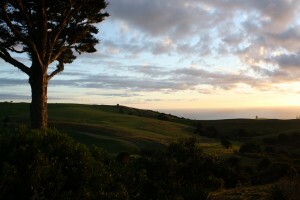 The Cape Kidnappers colony is among the largest accessible colonies in the world. Gannets are migratory birds that return to nest on the cliffs in September, hatch their chicks, and then make a return flight to Australia in May. The chicks practice using their wings before taking that extraordinary flight, so you will see lots of action. The birds are not afraid of humans, so you can get quite close to them. Be aware that they are smelly and a bit loud, though! During our only full day, we kept quite busy! We booked a half-day private wine tour through the Farm, so I’m not sure what company they used, but our guide was Janine. Her family had had roots in the area for over one hundred years, so she was able to give us a great background on the area as well as discuss the history of the various vineyards. She also took us to a few wineries that do not export to the United States, so we were able to get some interesting wines that we could never find at home. At the end of our tastings, we ended our day with lunch at Elephant Hill, a winery and award winning restaurant. Upon return to the Farm, we took out a golf cart and toured the golf course at our own pace. The scenery was gorgeous and the golf course had the most stunning views. Our stay at the Farm went by so quickly, but we were then off to the South Island. First stop: Christchurch! We had only decided on one night in Christchurch, as the primary reason to visit was to see an old friend. However, we quickly fell in love with the city and wanted more time to explore. Perhaps another visit needs to be in the works? While in Christchurch, we stayed at The George. The George is a modern boutique hotel located across from Hagley Park, which is the largest open space in Christchurch. The hotel is in a central location to be able to enjoy various areas in the city, not to mention it’s a very easy drive to the airport. We stayed in a Premium Executive Room on the 4th floor, which was spacious and clean. Our particular room rate came with full breakfast, as well as access to the internet and mountain bikes. Also of interest was the rooms had safes with built in laptop charging, a workout channel for in room exercise, as well as heated bathroom floors. Perhaps the most important amenity was the small stuffed bear they leave in your room after evening turn down service on the first night. 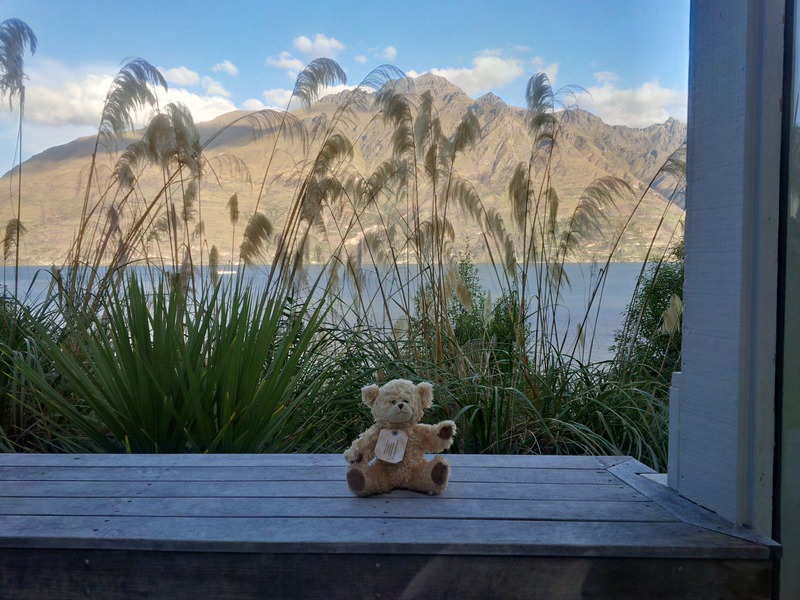 The bear, aptly named George, is yours to keep and they encourage you to travel with it, snap photos, and post the photos to their blog. It’s very fun and George is quite the world traveler! In addition, the staff was also extremely friendly and the concierge team went out of their way to ensure our stay was pleasant. 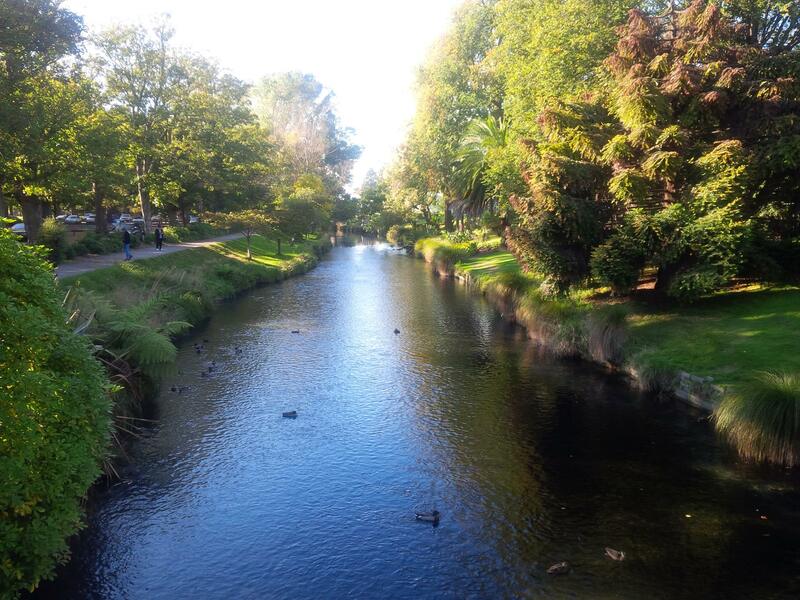 As we were meeting up with a friend, I won’t go into too much detail, but we were able to spend an hour or so in Hagley Park, with stops at the botanical gardens and the Canterbury Museum. 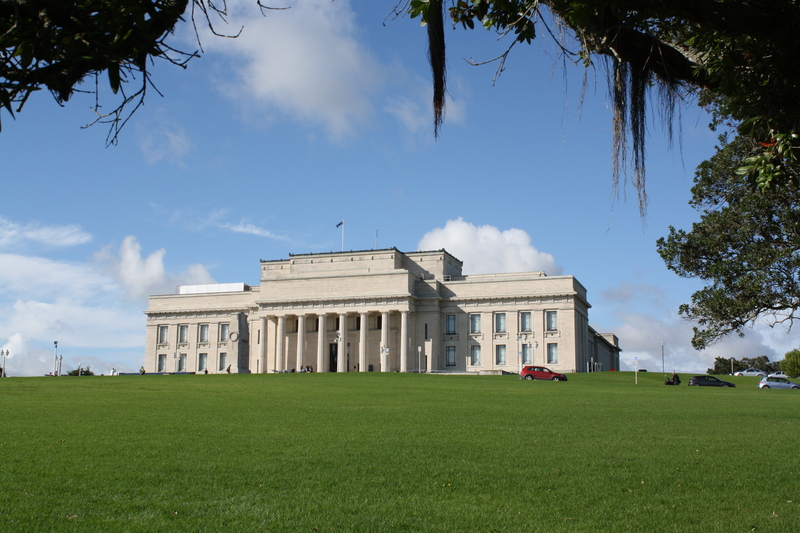 The museum is small, but offers a look into various aspects of New Zealand history, including natural history, a look back into Canterbury’s heritage, and an interesting Antarctic exhibit. Following our very brief one night stay in Christchurch, we headed to our final stop on our luxury lodge hopping tour- Matakauri Lodge. 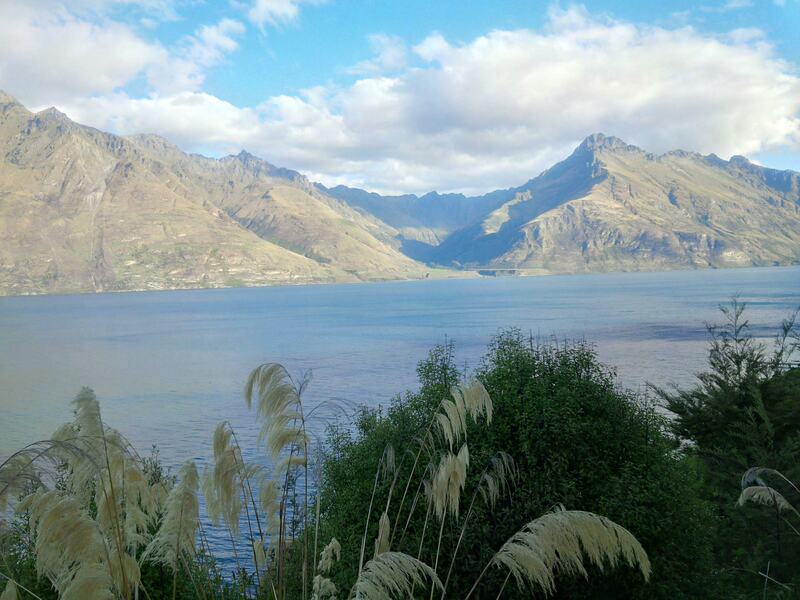 Matakauri is approximately 20 minutes outside of Queenstown proper and sits along the shores of Lake Wakatipu. As with the other lodges, we hired a private driver for the duration of our stay in Queenstown. David from Black ZQN drove us to/from the lodge in addition to being our tour guide for our wine tasting. Upon arrival at the resort, we were given a brief tour of the property. This tour did not require a car or other vehicle, as the property is smaller, not spread out, and does not have any rugged terrain. The main lodge building is similar to Kauri Cliffs and Cape Kidnappers- various sitting areas, a dining room, and the reception desk area. However, there is also a patio area with a fireplace, where you can enjoy your pre-dinner drinks while enjoying the spectacular views. 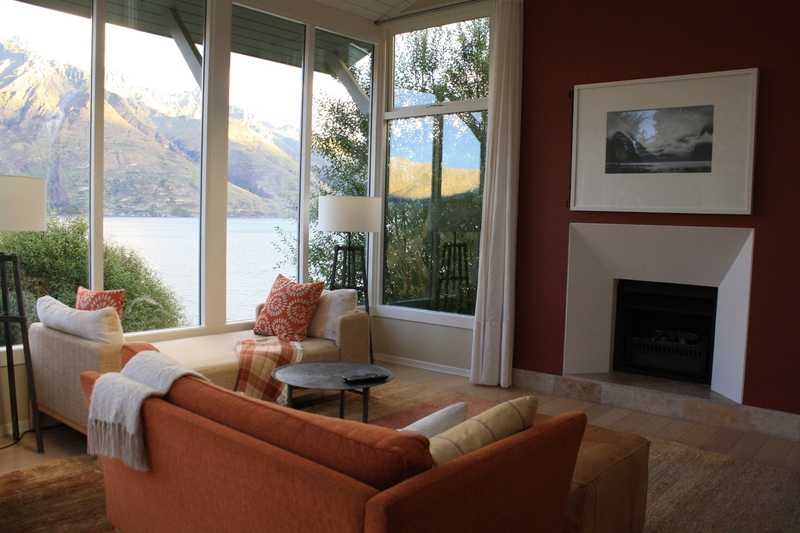 Queenstown does have a winter season, so I think the fireplace is more utilized in Autumn and Spring. Don’t fret, though- those amazing views can be seen from your table in the dining room. Speaking of the dining room, Matakauri also noted my dietary preferences and ensured I had a special menu each day. I ended up ordering off menu most of the time, but no problem! The portions were in between the large offerings at Kauri Cliffs and the smaller, more gourmet portions at Cape Kidnappers. While nothing quite beats the soufflé we had at Kauri Cliffs, I have to make note of the amazing chocolate creations they offered on my special menu each evening. As I mentioned, Matakauri is quite a bit smaller than the other properties. It only has 12 suites, each with views that overlook the lake. We stayed in one of their deluxe suites. which was a quick walk to the main lodge. The deluxe suites offer a blend of alpine and modern décor and include a fireplace, minibar area, expansive bathroom with separate tub and shower, and a bedroom setup from the sitting area so you can wake up and immediately have a fantastic view. 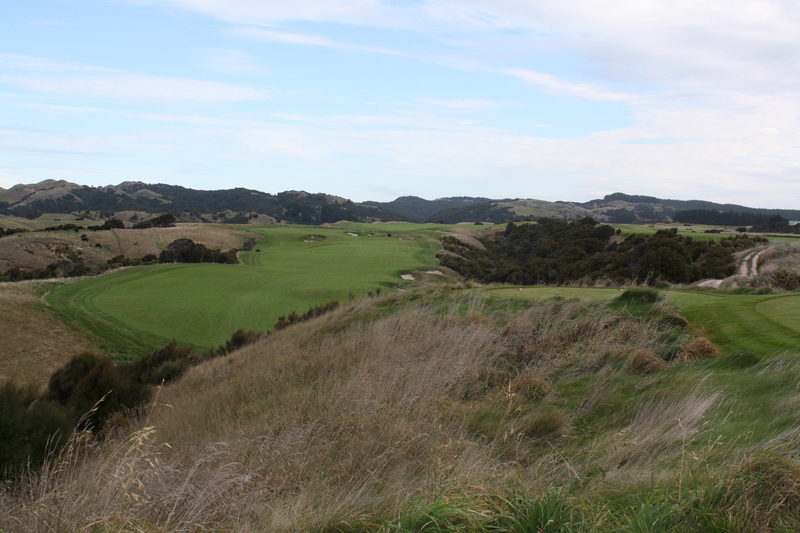 The only downside was the closet at Matakauri was quite a bit smaller than Cape Kidnappers and Kauri Cliffs. We just had so much luggage and it was hard for us to be in the closet at the same time. However, the view from these suites were just so amazing that it makes up for any shortcomings. We had four nights in Queenstown- the longest stay at any one place during our trip. 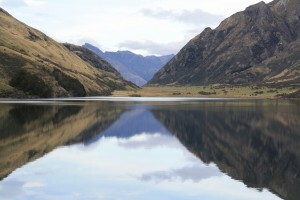 We planned the trip this way because Queenstown is the adventure capital of New Zealand. While we easily turned down offers to sky dive, bungee jump, or river surf, we did get out and explore! We worked our way up in intensity, starting off with a massage at the Matakauri Spa. I enjoyed a 90 minute relaxation massage with Yuko, while my husband tortured himself with a deep tissue massage with Jamie. Okay, so it’s not quite torture, but it certainly isn’t easy to get all those kinks out of the muscles. The next day, we met up with our driver, David, to explore the Gibbston Wine Region just outside of Queenstown. We visited four wineries – Chard Farm, Mt. Rosa, Brennan, and Amisfield. There was certainly a lot to like and we definitely drank our fair share, so it was nice that David took us into Arrowtown to enjoy a nice big burger at Slow Cuts! It really hit the spot. We also had the opportunity to walk around Arrowtown and learn about the history of the area. Perhaps the most incredible, special, and memorable part of the trip was our next activity- a helicopter tour of the area by Heli Tours Ltd. Heli Tours is owned by Paul Mitchell, who I happened to meet at a New Zealand trade event in 2015. When we first spoke, I loved that the business was family oriented and that he focuses on creating bespoke itineraries for his clients based on their needs and wants. While they do offer some pre-packaged tours, there are not many to choose from, as to allow for flexibility and customization. From the time we spoke, I knew I had to get to New Zealand and book a helicopter tour! 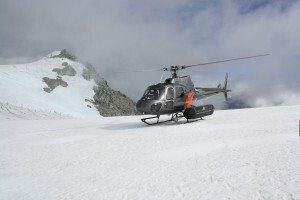 Upon contacting Paul, I received a quick response and he worked with me to put together a bespoke experience based on what our interests were- an aerial tour of Fiordland National Park, a short hike on Milford Track, flying over some glaciers, and a picnic lunch. We booked April 5 with a weather backup day of April 6. Often times, the weather can keep you grounded, so be sure to allow some flexibility when trying to take one of these tours. The day prior to our trip, we received an e-mail from the office confirming our pick up time. The transfer was there right on schedule and we were shuttled to a grassy area not too far from the lodge. Typically, they fly out of the airport, but since the lodge is located further out from town, they arranged a closer pick up point, as to not waste any time on the ground! We met Paul at the helicopter, did some quick overview, and took off! Our scenic journey to Milford Sound was total eye candy. We were in awe of the various mountain peaks, waterfalls, and alpine lakes. Upon landing at the Sound, we noticed a bit of hustle and bustle. It seems James Cameron liked the scenery as much as we did, as the sequel to Avatar is currently being filmed there. Unfortunately, we did not get to meet Mr. Cameron or any of the actors, but we felt fortunate enough just to be able to have this experience. We were met on the ground by Toni, our guide from Trips and Tramps and headed over by boat to the end of Milford Track. 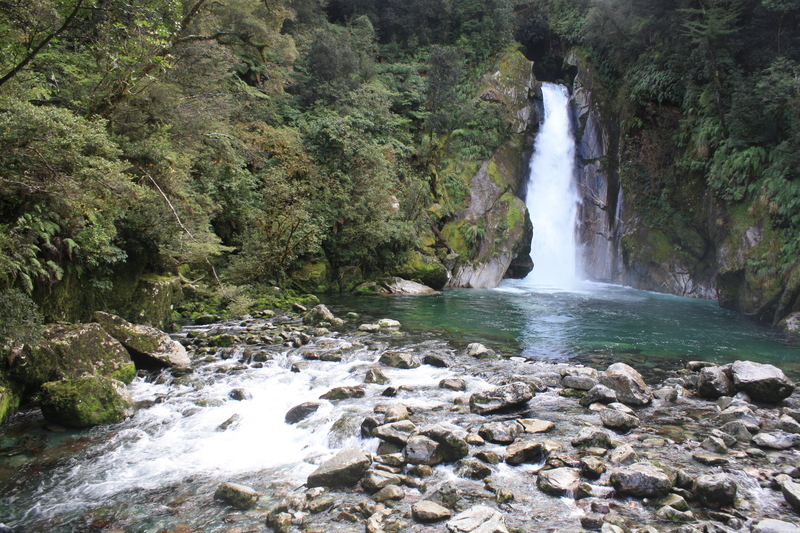 Typically, you are only able to hike Milford Track in one direction and the hike is several days long. However, you are able to do a shorter guided hike during offseason periods. So, we hiked the very last section of the track. We were in awe at how quiet and peaceful the track was, given that it was nice out and Milford is a popular destination. We hiked about 2 hours into the track, had a quick snack at Giant’s Gate waterfall, and turned back. The waterfall was gorgeous and the water was so unbelievably clear and blue. We were told you could drink it, but I did not want to tempt fate. Following the hike, we met back up with Paul and headed toward Mt. Aspiring National Park. During our journey, we made a brief stop on a glacier. It had quite an impact on us, as it was so beautiful, so different, and yet sad because the glaciers are starting to melt. We also noted how bright it was up there. I had left my sun glasses in the helicopter- big mistake! After our brief stop, we headed toward the mountains across from Glenorchy and stopped for a picnic. The picnic area was right on top of the mountain, so the views were unreal. It just all took our breath away. So, we sat with a lovely picnic of wine, cheeses, breads, and garnishes and just stared across the Lake Wakatipu in awe. Not much could top the amazing experience we had with Paul and Heli Tours Ltd, but it did inspire us to use our last full day in Queenstown to do some more hiking. There are many walking tracks in the area and the staff at Matakauri assisted us in picking out one that best suit our level of fitness and timetable. 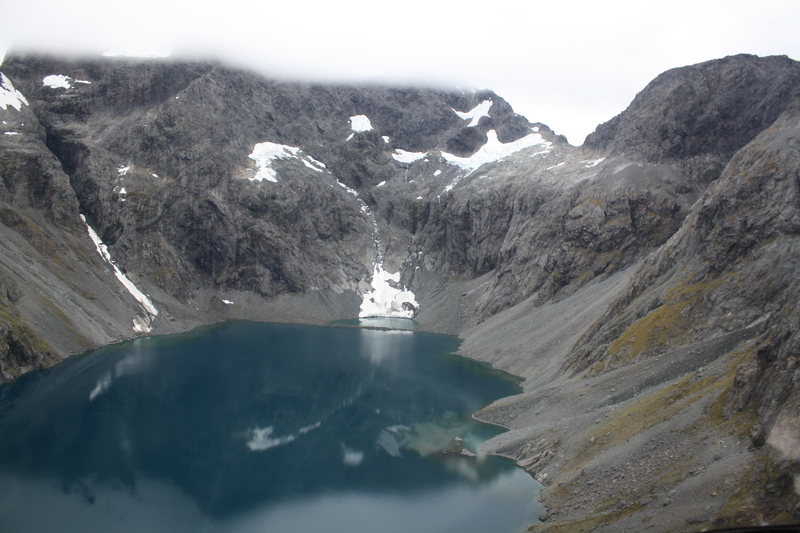 We chose to do the Moke Lake Track combined with one side of the Lake Dispute track. The staff at the lodge dropped us off at Moke Lake, set a time to pick us up at the end, and as we popped out from the trail head, they pulled up to take us back. The tracks were well marked and fairly well maintained, so with the well coordinated transportation, getting out and seeing this beautiful area was a no-brainer. In fact, we did another shorter walk along the lake shoreline before having to head off to the airport. One thing of note is that the downtown area of Queenstown is very active and bustling, with many shops and restaurants. It almost reminded me of ski towns like Park City or Aspen. While downtown Queenstown as a bit too touristy and crowded for our taste (and our meals were included with our room rate), it might be worth checking out. We felt that there was enough outside of the downtown to occupy us and we were certainly correct about that! We plan on going back and doing a whole new set of activities. Well, I take that back- we’ll try to do another helicopter tour! The entire trip seemed like a whirlwind, as I strongly believe that we could have spent months there. There were so many areas we didn’t visit and there is so much to do for people of varying interests. It was just one of those experiences that will forever leave an imprint on your mind. As I mentioned above, I wasn’t quite sure I would like a non-beachy South Pacific vacation, but I am confident enough to admit when I’m wrong. And, boy, was I wrong! I highly recommend taking advantage of the several flights operating from the US to Auckland, along with the favorable exchange rate, and have the adventure of a lifetime. Hopefully, if you’re like me, you won’t be crossing this off your bucket list after visiting. You’ll keep it on there for an excuse to keep going back. Please contact me for any additional information or to plan your 100% Pure New Zealand Escape!